Javon Walker in Danger of Losing Roster Spot? Jerry McDonald of the Oakland Tribune reports Raiders WR Javon Walker finds himself in a precarious situation after the team selected WR Darrius Heyward-Bey and WR Louis Murphy in the NFL Draft. However, Walker is guaranteed $4.6 million over the next two seasons, which should keep him on the roster for now. 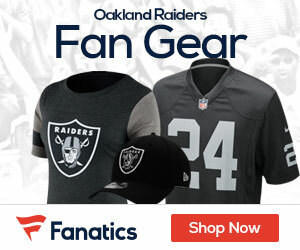 From: SF Chronicle The Raiders have a hard decision with wide receiver Javon Walker, who was a pricy bust before blowing out his ankle in midseason. He’s due $9 million next season, and the team must decide if he’s worth that much. The Raiders today put wide receiver Javon Walker on injured reserve, and with the roster spot the team signed guard Dylan Gandy to the 53-man roster. Walker had ankle surgery after being injured against Carolina on November 9th. Gandy was a fourth-round draft pick out of Texas Tech by Indianapolis in 2005.